Flight prices constantly fluctuate, even after booking. We leverage this volatility to generate real time savings for your firm. Deal Engine's solutions surpassed my expectations. I didn't think they could increase our bottom-line as much as they currently do. We're able to provide more features and better service to our clients, while also differentiating from our competitors. Our savings engine is trusted by the top travel agencies in the world. Deal Engine is a San Francisco based travel solutions software company. Our mission is to reduce corporate travel expenditure by capitalizing on fluctuating pricing. 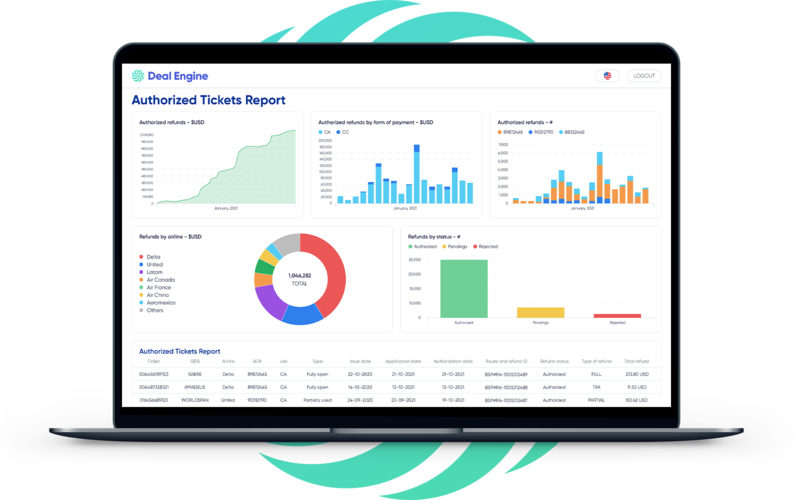 Utilizing proprietary search and booking algorithms, Deal Engine ensures maximum savings on each flight itinerary while preserving corporate policy and travel preferences.